She was born in Goshen, IN to Reverend Dennis and Sherri Irish. In 2017 she married Elijah VanderSande. She was blessed to grow up in a strong Christian household with three siblings, Nathan, Sara, and Samuel. Her father served as a minister in the United Methodist Church in the Detroit Annual conference for much of her youth, and continues to do so. She graduated Spring Arbor University in 2015 with a Bachelor's degree in Pastoral Ministries. In the fall of 2015 she began seminary at Asbury Theological Seminary, where she received her Masters of Divinity (MDIV) in August of 2018. Her calling in ministry came during her time at Spring Arbor University. There God urged her forward in pursuing studies in ministry. During college she worked as a young adult intern at Jonesville First Presbyterian Church. 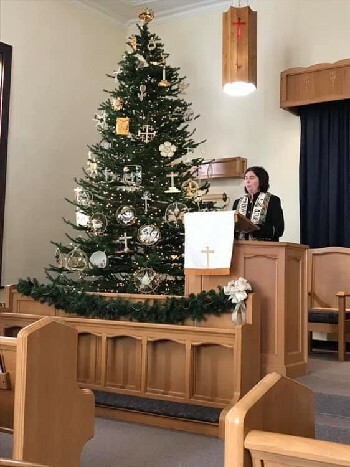 Upon graduation from college and completion of her internship, she was invited to work as pulpit supply during the summer between her college graduation and seminary. In addition she has worked with the United Methodist's Mission Intern Program, at Port Huron First United Methodist Church in Port Huron, MI. She currently is a candidate in the United Methodist church, working towards becoming an elder.